Geopath (formerly Traffic Audit Bureau for Media Measurement) provides agencies, advertisers and brands with smart data-driven audience location measurement, insights & market research. Geopath sets the standard for Out of Home (OOH) audience analytics for top brands. 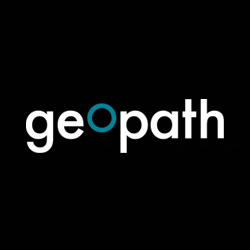 Geopath sets the industry standard for audience location measurement, insights & market research innovation. By processing and incorporating many industry-changing data sources such as connected cars, weather data, population growth factors, and the locations & trips of hundreds of millions of anonymous mobile devices, our systems will be able to do things like respond to seasonal, daily, & hourly variation, provide post-campaign delivery information, and much more.